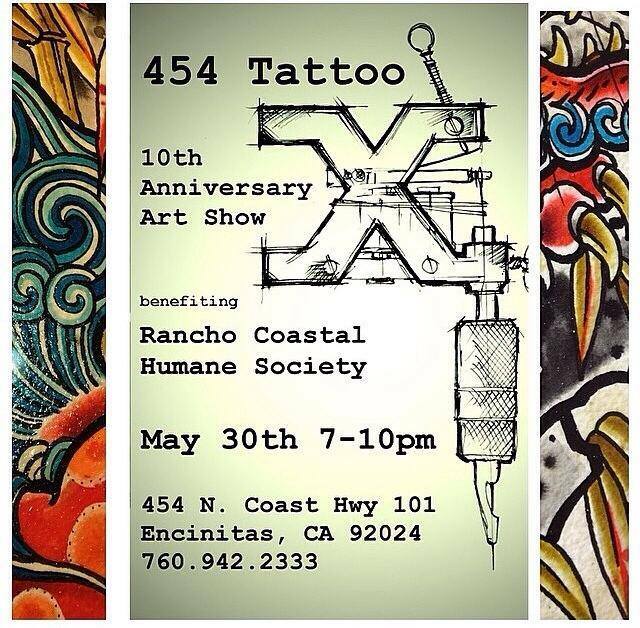 Long time Summer Fun sponsor and venue, 454 Tattoo is having a tenth anniversary art show tonight! These guys do some of the best ink in the business and are great people to boot. It will be a fun time with some incredible art, so go check it out whether you’re inked or not! !